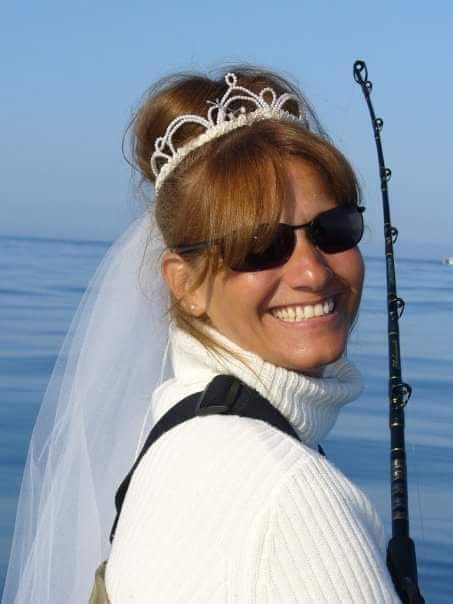 Bernadette “Bernie” (Pilz) Westover, 57, of Punxsutawney passed away Tuesday, March 26, 2019 at home surrounded by family and friends. She was born on March 06, 1962 in East Orange, New Jersey, the daughter of the late Jennifer Marie Depasquale. Bernie was a 1980 graduate of Jackson Memorial High School in Jackson, New Jersey. On August 11, 2009 while on a beautiful fishing trip to Ninilchik, Alaska she married her best friend, Norman Ned Westover. He survives and resides in Punxsutawney. Bernie previously worked at Head Start for twenty-three years, she then cared for many residents of Wellington Heights Personal Care and worked last at Hometown Pharmacy. Her enjoyments were hunting, fishing, camping, gardening, and riding four wheelers. She loved to work hard and play harder. Bernie loved her family and was a great homemaker and extended kindness to everyone, she had a way to make everyone feel special. Her home was not only home to her own children, but all the neighborhood kids as well. She will be sadly missed by all who knew and loved her. In addition to her husband Norm, she is survived by three children, Nicholas Pilz of Pittsburgh, Michael Baker and wife Amber of Punxsutawney, and Brittany Kernich and husband Nickolas of Punxsutwney; four grandchildren, Arianna Rose Baker, Emalynn Grace Baker, Finn Harrison Kernich and Reese Maverick Kernich; three brothers, Wayne Pilz of Texas, Walter Pilz of Scranton, Richard Giannone and wife Barbara of Jackson, New Jersey; four sisters, Denise Badders and husband john of New Jersey, Lisa Bartoline and husband Anthony of New Jersey, Krys Nixon of Punxsutawney and Julie Heaney of New Jersey. She is preceded in death by her mother, and brother, Michael Pilz, and foster parents, Anthony and Camille Giannone. As per Bernie’s wishes there will be no visitation, a memorial service will be held at a later date, arrangements entrusted to Shumaker Funeral Home, Inc., Punxsutawney.